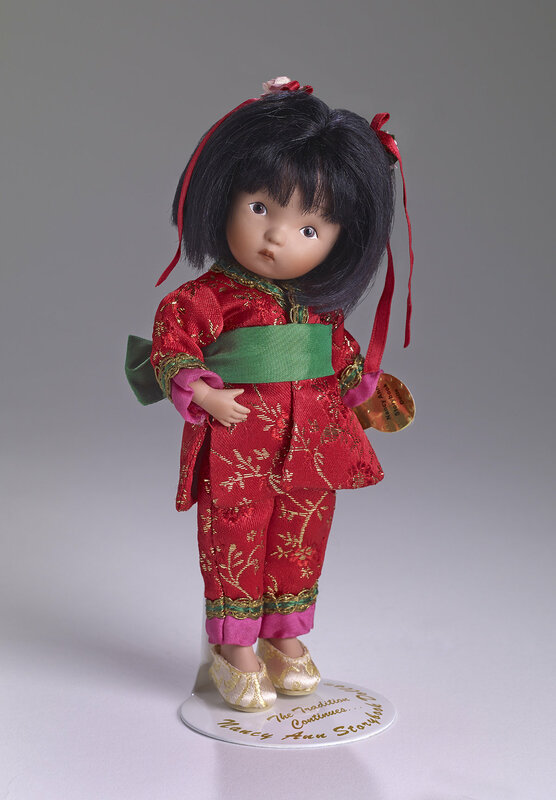 Tonner, Phyn & Aero, Nancy Ann Chinese Girl, P17NADD02. Made of the finest bisque porcelain and hand painted, Nancy Ann is dressed in red brocade outfit shot with gold thread. 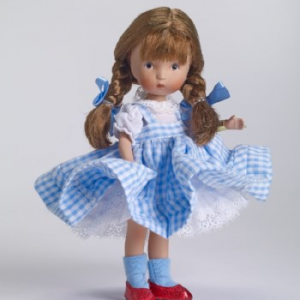 The little two-piece outfit is trimmed in green and gold braid and shocking pink satin. Her jet-black mohair wig is adorned with tiny pink roses and red “silk” ribbon. For a finishing touch, she has golden brocade slippers. 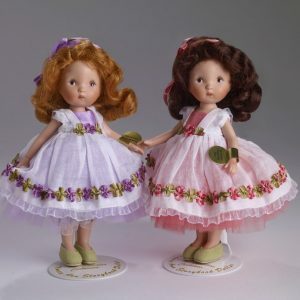 Our six inch tall, porcelain Nancy Ann dolls all come with a gold foil wrist tag and perfect fit doll stand.